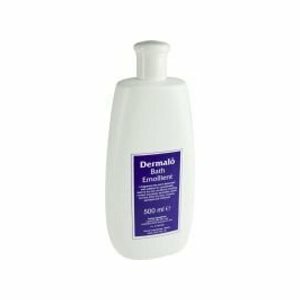 Dermalo Bath Emollient is a treatment for dry and problem skin. – if you normally shower, for use as a leave-on application smoothed directly into wet skin after showering. It helps treat dry or chapped skin conditions that may also be itchy, red and sore. – elderly pruritus (itchy skin due to ageing), ichthyosis (abnormal scaly skin), various forms of eczema, dermatitis and other dry skin disorders. 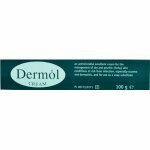 • All age groups can use Dermalo Bath Emollient, including babies. • The active ingredients in this product are liquid paraffin and acetylated wool alcohols. – soften, moisturise and protect your skin by trapping moisture in the skin and restoring the normal protective function of the skin. 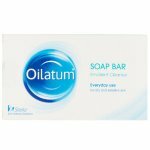 – prevent the skin-drying and irritant effects that can be caused by washing and bathing and by the soaps, foaming additives and fragrances used in ordinary bathing / showering products. • This product can be used in addition to any other emollients or treatments your doctor or pharmacist may have given or prescribed for you to treat your dry skin condition. • Emollients help soften, moisturise and protect the skin. They play a central role in the treatment and management of dry skin conditions. For maximum effect, they should be applied regularly and as often as needed. • When bathing, try to use warm, not hot, water and avoid staying in the bath for long periods. This could make dry skin conditions worse. • Try to avoid using normal soaps or bath additives (even those labelled “moisturising”). This is because they tend to dry and irritate the skin. Avoid using products containing fragrances, as these can also cause skin problems. You should try to use a fragrance-free emollient “soap substitute” instead. This type of product will not foam or lather but will be better for your dry skin condition. • Breaking the itch-scratch cycle. Some dry skin conditions like eczema and dermatitis are itchy, and can be quite sore. Although scratching relieves the itching for a short while, it further damages the skin. Badly scratched skin easily gets infected. This makes it itchier and the urge to scratch becomes even greater. It is better if scratching can be avoided by reducing the itching. The regular use of emollients or moisturisers can help with this. For maximum benefit you should use this product whenever you bath or shower. • Add approximately 15 to 20 ml (11⁄2 to 2 capfuls) to a normal sized bath filled with water to a depth of roughly 20 cm (8 inches). • Get into the bath and cover the affected areas of skin with the bath water. • Soak for 10 to 20 minutes. • Pat the skin dry with a soft towel. • Avoid rubbing with the towel because this makes dry skin conditions worse. • Add approximately 5 to 10ml (1⁄2 to 1 capful) to a small bath of warm water or wash basin. • Submerge the affected areas of skin. • Alternatively, repeatedly sponge the water over the affected skin areas. • Smooth a similar amount of undiluted product onto wet skin following a shower. You may prefer to use your normal soap as well as Dermalo Bath Emollient when bathing. As a general rule, however, the use of normal soaps and foaming bath products (even those labelled “moisturising”) is best avoided, or at least kept to a minimum. Ideally, a fragrance free soap substitute should be used instead, despite the fact that this type of product does not foam or lather. Do not worry if you occasionally forget to use it, just carry on using the product as described the next time you require it. Do not use this product if you are allergic (hypersensitive) to liquid paraffin, acetylated wool alcohols, or any of the other ingredients of Dermalo Bath Emollient listed. • It can make your bath slippery, so be careful to avoid slipping over when getting into and out of your bath. Be careful when handling babies and young children. • After use, clean out the bath with a suitable detergent to remove any remaining greasiness (wearing protective gloves to avoid irritating your hands). 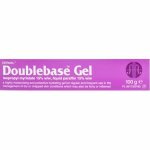 This product can be used during pregnancy and whilst breast-feeding. The ingredients have been in widespread use in this and similar preparations for many years, without reports of problems. However, safety trials have not been conducted. Like all medicines, Dermalo Bath Emollient can cause side effects, although not everybody gets them. This product has been specially designed for use on dry or problem skin, but in some rare cases it can cause irritant or allergic skin reactions on extremely sensitive skin. These rare effects tend to occur during or soon after the first few uses. • If your skin condition seems to look or feel worse. • If any of the side effects become unacceptable, or you notice any other side effects not mentioned in this leaflet. 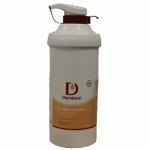 • treat the symptoms as you would deal with any case of diarrhoea. • do not attempt to cause vomiting. • Keep out of reach and sight of children. • Do not use Dermalo Bath Emollient after the expiry date shown on the bottle. The expiry date refers to the last day of that month. • Always replace the cap after use. The active ingredients in this product are liquid paraffin (65% w/w) and acetylated wool alcohols (5% w/w). The other ingredients are isopropyl myristate and macrogol 3 lauryl ether.